Compeed Blister Plasters feature the unique Hydro Cure system to relieve pain and help skin heal faster. 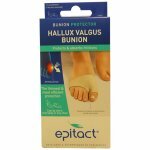 These foot plasters act as a second skin over damaged, blistered areas, protecting and cushioning them so they don't suffer further damage. These blister patches are waterproof and resistant to germs and bacteria, so they stop broken skin from becoming infected. The HydroCure formula helps regulate moisture around the blister, providing optimum conditions for skin to heal. The long-lasting adhesive keeps these blister plasters in place for as long as needed. 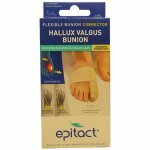 They can also be used to provide an extra protective layer before a blister is formed - forming a cushion to protect skin from rubbing and friction from footwear. 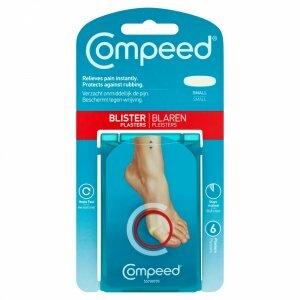 Scientific tests found blisters treated with Compeed healed up to 20% more quickly than those without.